Shepherding a Child’s Heart by Tedd Tripp—This is probably the best book I’ve ever read on parenting and deserves to be read by parents every couple of years, no matter the age of your children. Portions of this book deal with infancy, childhood, and then teen years, but the entire book teaches a parent how to focus on the heart and not merely the behavior. 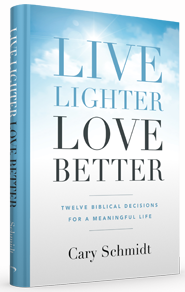 The strength of this book is that it is thoroughly biblical and that it gives parents a clear understanding of the vital biblical principles that pertain to parenting. Instructing a Child’s Heart by Tedd Tripp—This book builds on the material presented in Shepherding a Child’s Heart, and focuses specifically on how parents and other influencers can implant biblical truth and a godly though process within the hearts of our children. I love Tedd Tripp’s biblical approach to developing the heart! Strong Fathers, Strong Daughters by Meg Meeker—This book was given to me by a pastor friend and it deeply challenged me in my relationship with my daughter. Meg Meeker is a physician and the book, though Judeo-Christian in value, is primarily written from the experiences that Mrs. Meeker has had in dealing with families from the view of her medical practice. Every man with a daughter should read this book. 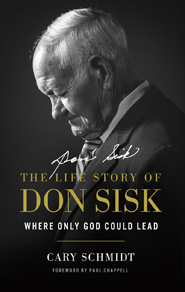 It substantiates the principles of Scripture with the real-life experiences of a family physician. Parenting by the Book by John Rosemond—I purchased this book a few years ago and worked through it in my personal time. The message of the book is that parenting by the Bible still works. The most powerful aspect of this book, in my life, was Rosemond’s explanation of authority and biblical discipline. He explains “the rod” of authority in a way that powerfully impacted me permanently in my own home. He also does a great job in dealing with heart transformation versus mere behavior modification. There were many portions of this book that I underlined, came back to, and shared with my wife. Parenting Today’s Adolescent by Dennis Rainey—This book has been a standard in my library as a reference for teen parents for years. The book opens with much practical wisdom and then explores the traps of the teen years. As a youth pastor and parent, every page of this book resonated in my heart with wisdom and truth. 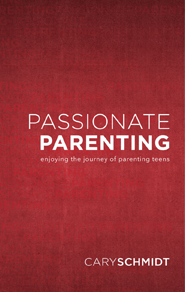 One of the best aspects of this book is that it helps the parent lead the teen to develop personal convictions! 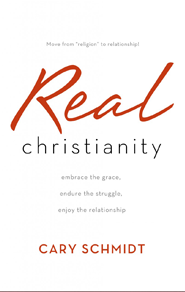 This vital dynamic of training is absent in many Christian homes today. As with most books but the Bible, I would give a disclaimer that I could not endorse everything about these books or the authors listed. I encourage the reader to read with Holy Spirit led discernment and biblical wisdom. But generally these books deal with vital parenting issues biblically and practically. I pray they will be helpful tools to your home and ministry. Thanks for the great list, Bro. Cary. I am currently reading one of these. I’m sure modesty prevents you from mentioning it, but a list of such books would never be complete without your own HOOK, LINE & SINKER – a great book that I thank the Lord for! Great recommendations. Tripp’s book is excellent. Especially liked your thoughts on youth workers reading parenting books. I 100% agree. thanks for the recommended reading list, bro schmidt! I’ve read Tripps book and was helped tremendously with raising our son. I appreciate your input. I try to pass out a Parents Resource page each meeting. I’ll be including some of these books. Thank you. Just went on Amazon and ordered all 4. Heading out on vacation in a couple of weeks and looking forward to reading through them. Thanks for the recommendations. I have to agree that this list is lacking without including all of your books. They have been instrumental in helping our young people. Just what I needed ….a reason to buy more books… I have two of those listed. I also have heard great things about John Rosemond. Will look into both of the others. Thanks! I just bought “Shepherding a Child’s Heart” based on your recommendation. With 2 kids 2 and under, I need all the help I can get. Praying for you, your family, and your ministry at Emmanuel. In addition to Tripp’s book, I would add Raising Your Children for Christ by Andrew Murray. We’ve gone through parenting courses and read many books but none remind us of the Lord’s promises and our responsibility like this one and keeps us on your knees and focused on whose children they really are. After 23 years of parenting I can not recommend it too much. (The original version is in the public domain titled The Children for Christ).